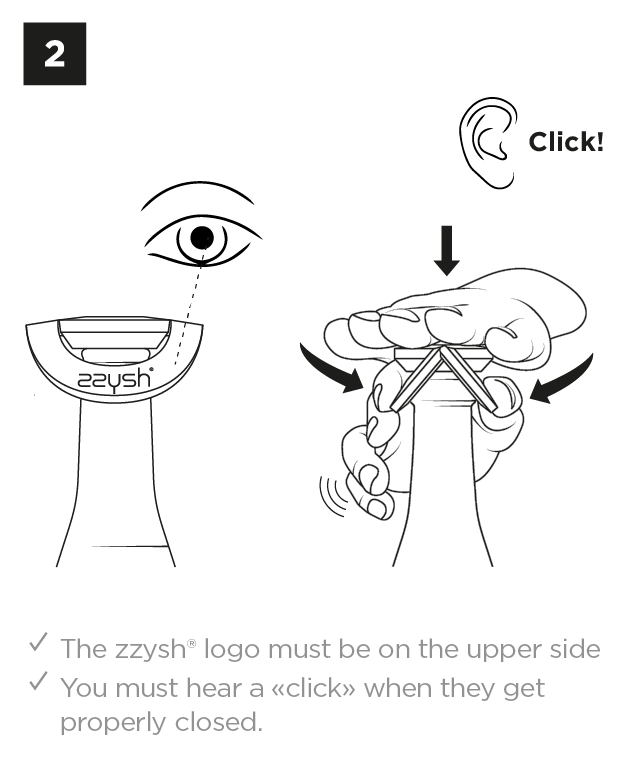 Why the zzysh® champagne preservation system? It pressurizes an opened bottle and protects it perfectly from oxidation. 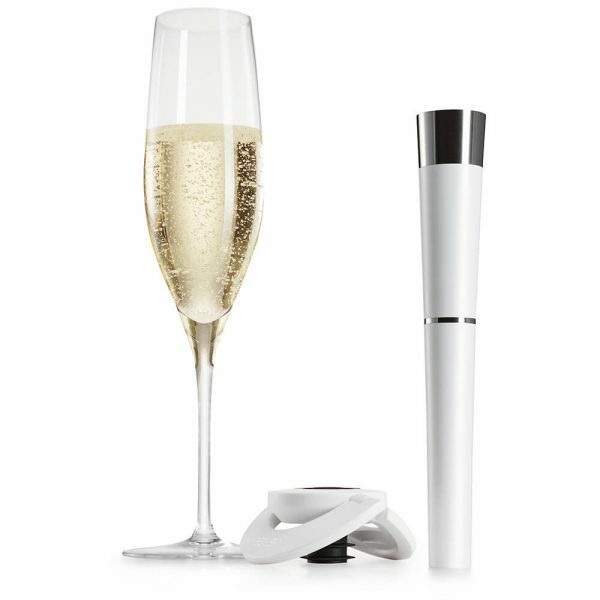 Keeps your Champagne’s flavor and fizz for weeks. Replaces the air in an opened bottle with 100% food-grade argon/CO gas. 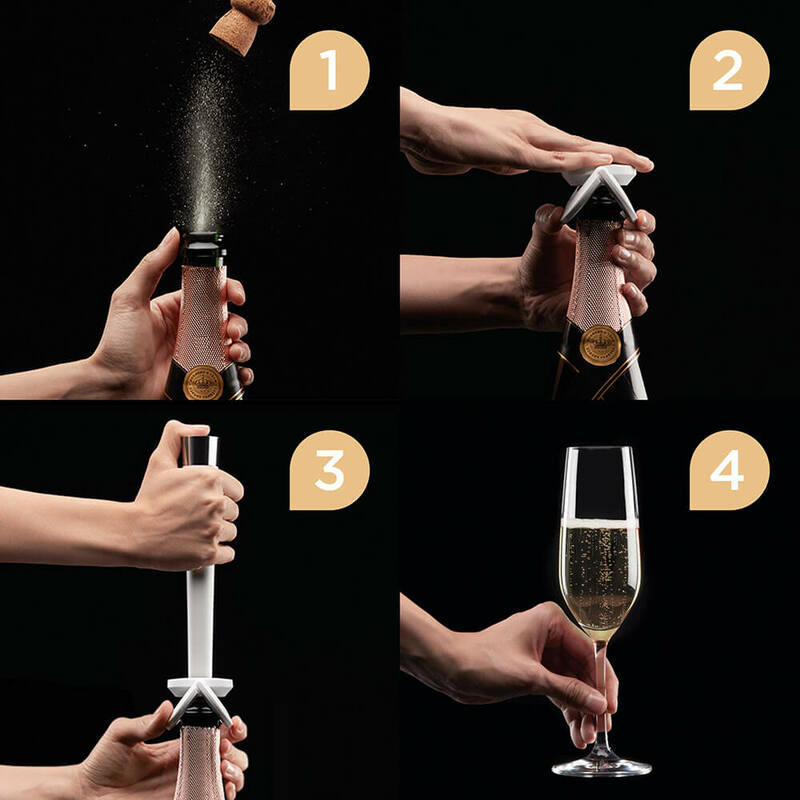 A perfect gift for champagne lovers. 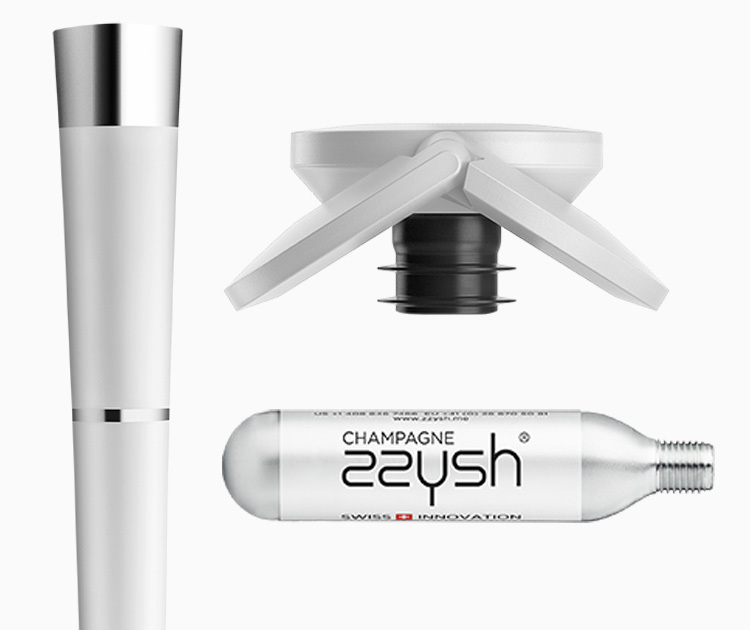 zzysh® IS THE NO.1 CHAMPAGNE PRESERVATION SYSTEM WORLDWIDE. Say goodbye to flat leftover fizz, because the zzysh® Champagne Preservation System will keep your sparkling wine’s natural flavor and bubbles for weeks after opening. That’s right, now you can have just a glass of Champagne or sparkling wine without having to finish the entire bottle. Unlike a spoon or classic stoppers, the zzysh® Champagne Preservation System is extremely effective against oxidation and loss of fizz. 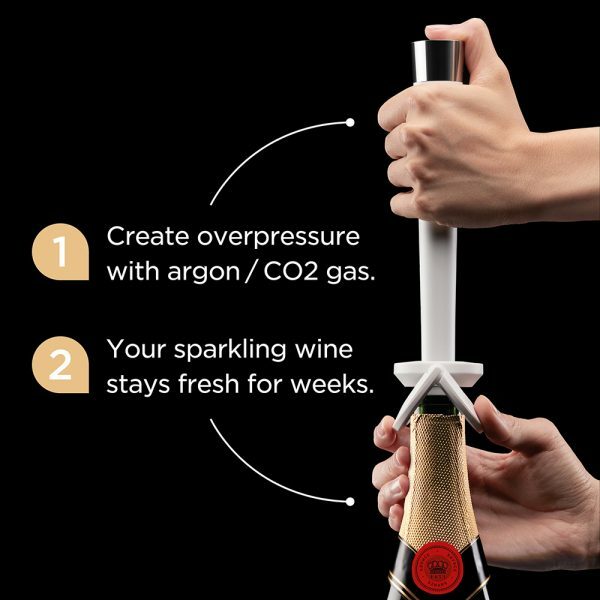 It uses an innovative sealing technology in combination with 100% food-grade argon/CO2 gas that protects your sparkling wine from oxidation and pressurizes the bottle to maintain that fizzy sensation. 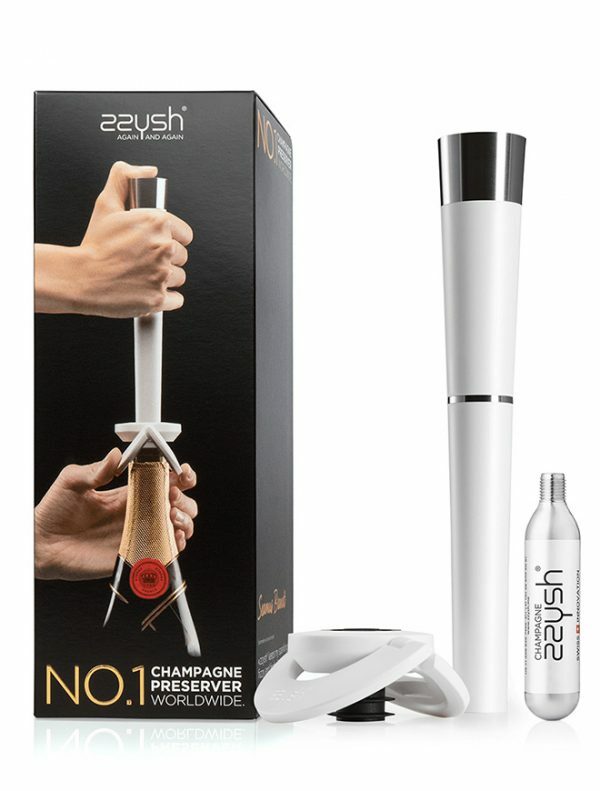 The zzysh® Champagne Preservation System includes one zzysh® Hand Piece, one zzysh® Champagne Stopper with an airtight seal and clamp, and one zzysh® Champagne Cartridge. 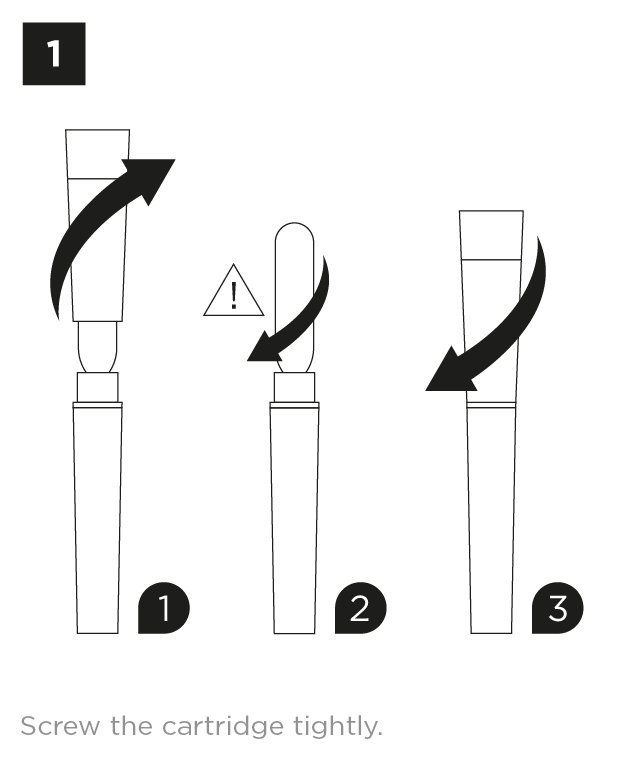 Each cartridge can be used up to four times on most kinds of Champagne, Prosecco and other sparkling wine bottles. A Swiss innovation that is highly recommended by sparkling wine experts around the world, preserving each moment’s spark. Love this product! I wish I would have had it YEARS ago!!! I know what all my girlfriends are getting for Christmas! 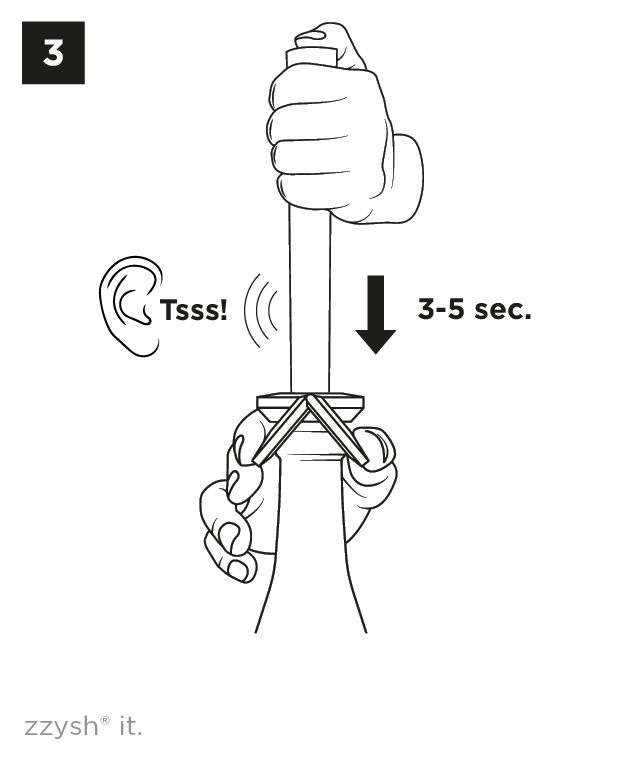 Make sure the stopper’s logo is facing up and that it clamps on tight. From there, it works just like they say. Champagne lovers rejoice! Finally a preservation system that keeps a bottle fresh for more than a few hours. 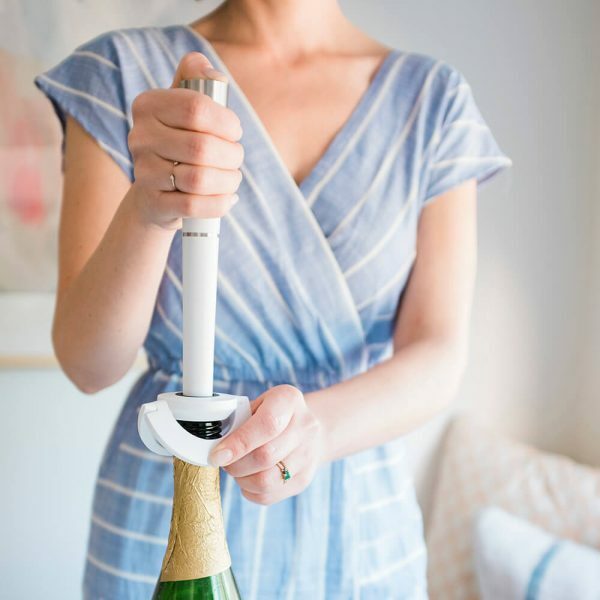 Open the sparkling wine you feel like tasting without having to worry about wasting the rest of the bottle. Enjoy the freedom to savor your sparkling wine by the glass. The sparkling wine is now perfectly protected, and its flavor, fizz and quality will be retained until next opened. Enjoy glass after glass.